Rent The Wren | Corporate Events | Wedding Locations, Event Spaces and Party Venues. Hearty, upscale pub eats, craft cocktails, beer & lots of spirits in a rustic, happening space. From the folks behind Wilfie & Nell, the Wren nods to American and British bar food. Think jars filled with everything from chicken liver mousse to smoked trout pate; also a tasty-sounding roasted-cauliflower soup with bacon broth. Booze-wise, the cocktail list consists of tweaked classics, plus a well-curated wine and beer list. THE PRIVATE ROOM DOWNSTAIRS AT THE WREN IS AVAILABLE FOR PARTIES AND EVENTS OF UP TO 50 PEOPLE. 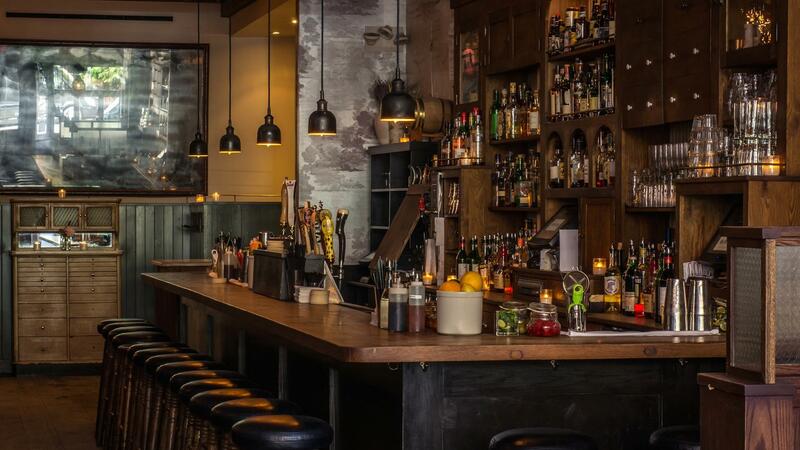 The Wren Downstairs offers an intimate space with its own private bar, dedicated bartender, and great food options. You are welcome to decorate as you like and play your own music. In addition, we have a large selection of seasonal cocktails to choose from for you to personalize your own cocktail menu.